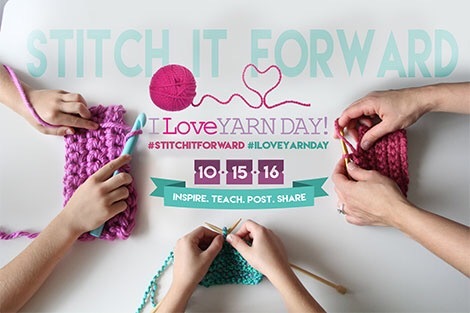 First of all, I want to wish each of you a very Happy I LOVE YARN DAY!! I’m going to celebrate by spending the whole afternoon – the ENTIRE afternoon, folks! 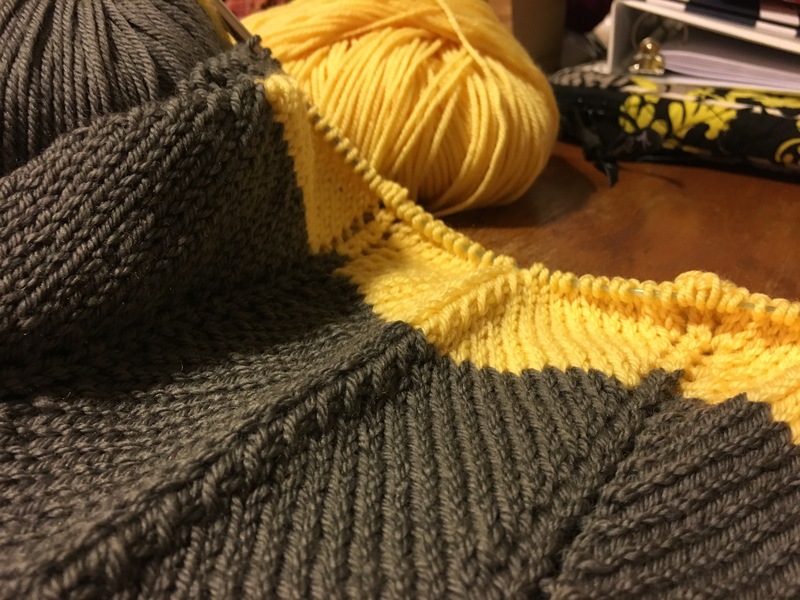 – knitting and organizing my yarn stash! Are you doing something fun today? It’s had to stay on the down-low for the last while because it was a surprise! I really wanted to have it all finished and ready in time, but life happened and it just didn’t work out that way. So I wrapped it up, multiple balls of yarn, needles, and all, in a cute gift bag, and gave it to her “almost finished” as it was. 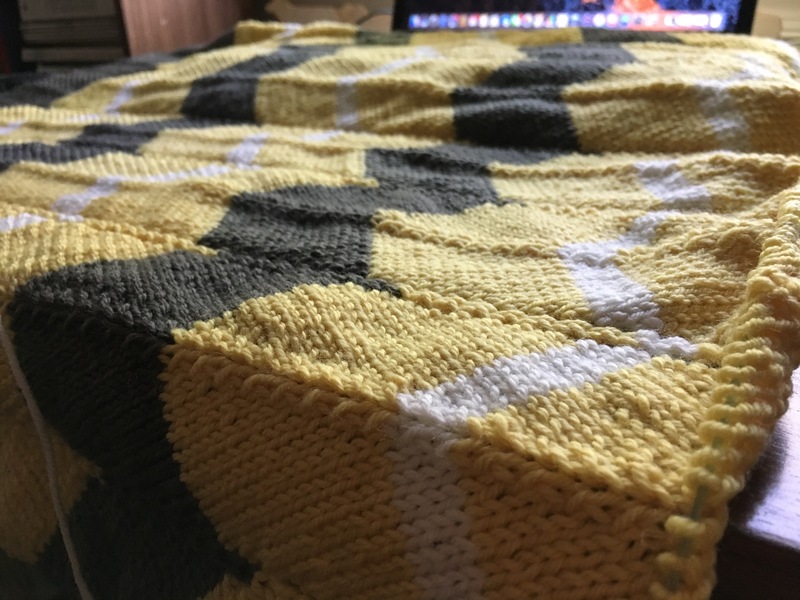 I’m really close to finishing the blanket now – I just have a couple more rows of yellow before I can start the final long gray section; and then the garter stitch border! It’ll be finished in time to help keep Little Niece warm when she arrives! And that makes me really happy! 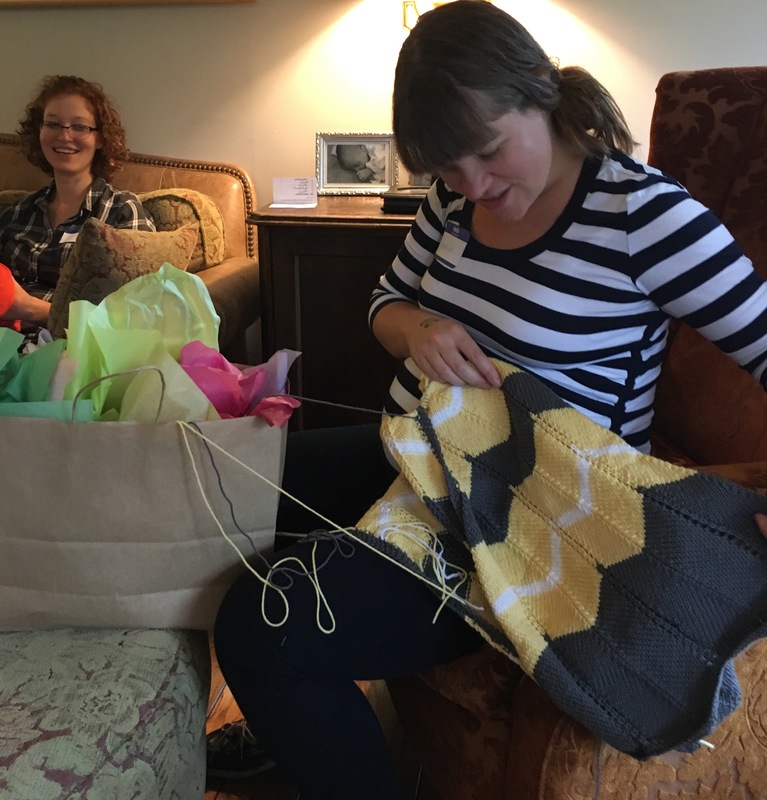 Have you ever had to give someone their hand knit gift before it was quite finished? How did it go? How did you feel about it? Their beauty is subtle, yet endlessly varied…, so that no matter what time of year it is, there will be some variety of moss or lichen about to delight and inspire anyone who looks closely. You could hear Wolf Run roaring over the rocks the entire way! 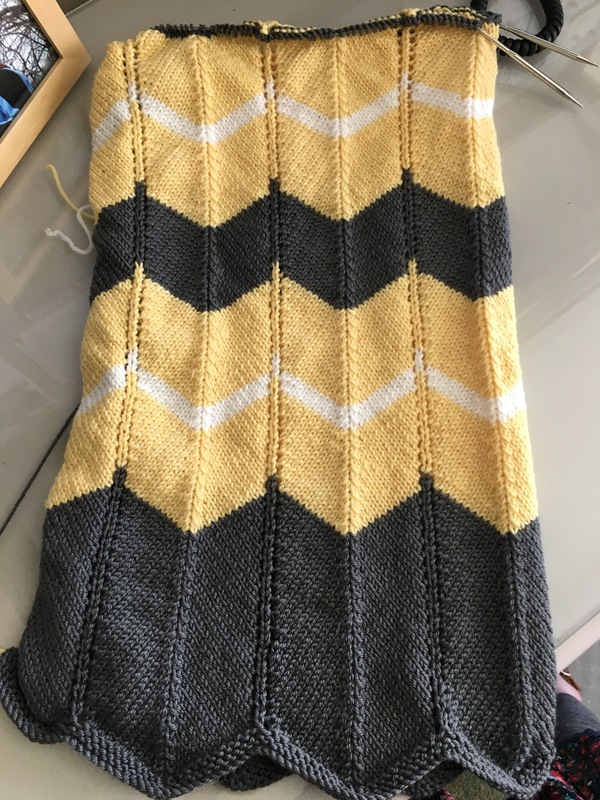 Back home now, curled cozily in the corner of the couch, I realize suddenly that the colors of the socks I’m knitting for my Father-in-Law are very reminiscent of those I was enjoying while out on my walk in the forest! I’m thinking of re-naming these the “Mossy Socks…,” because now whenever I see them I’ll be thinking of all the lovely mosses and lichens I saw today! Have you been on any outdoor excursions recently? What beautiful things are lifting your spirits lately? Does your knitting ever end up corresponding in some way to what you’re seeing/enjoying in the world outdoors? 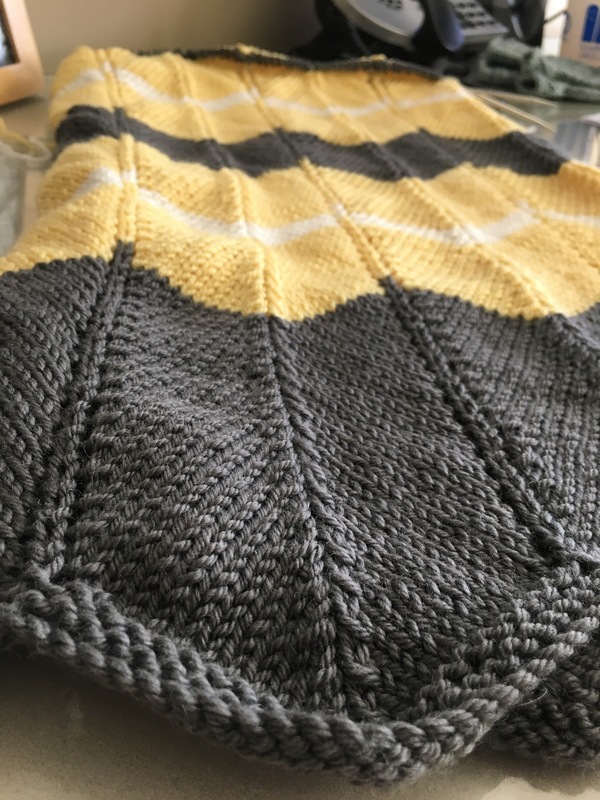 I was super excited to have the wonderful opportunity to write a guest post for a blog that I truly love – knittinginfrance! 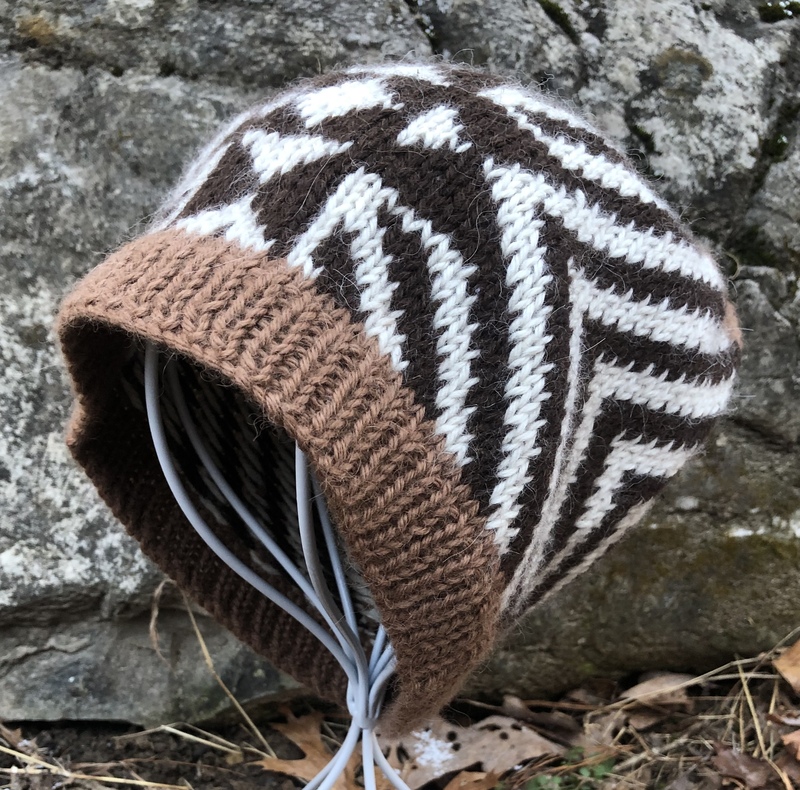 Bogga writes about her life, knitting and hand-dying, in Normandy, France; and her small business selling her hand-made treasures on Etsy! 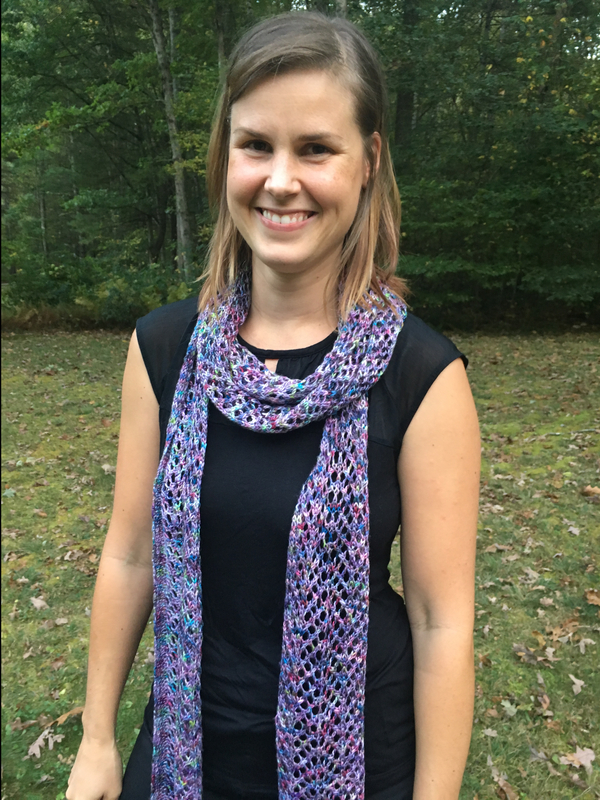 You can check out my guest post here, and while you’re at it, I encourage you to check out Bogga’s lovely blog and the gorgeous items in her Etsy shop!